Ayana Belk is a busy student on campus. 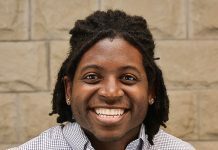 Belk, a sophomore in landscape architecture, manages to balance classes, clubs and other assorted activities. As busy as she is, she said she wouldn’t have it any other way. Belk, who served on student council while in high school, said she never pictured herself holding a leadership role as she does now in college. Belk is the only student senator for the College of Architecture, Planning and Design, making her the college caucus leader by default. She is also an Edgerley-Franklin Urban Leadership scholar, a committee member for the Multicultural Student Center, a member of the Developing Scholars Program and is a member of the National Organization of Minority Architecture Students. In her time as a student leader so far, Belk said she has realized students don’t know a lot of what affects them. 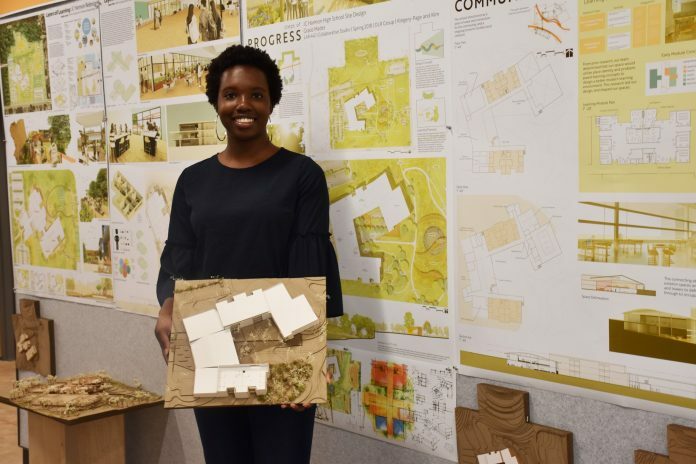 In architecture, she said she has noticed students tend to “be in their own bubble.” Helping them understand why they pay the fees for classes and what is happening outside of their small group is one of the things she enjoys, she said. Belk said she came to Kansas State in part because of the College of Architecture, Planning and Design. The program is a five-year graduation plan and each student that completes the program leaves with a master’s degree. Belk, who calls the Troost Street neighborhood in Kansas City, Missouri, home, said where she is from guided her in selecting her chosen career path. Belk said a trip she took in high school also shaped the decision to pursue landscape architecture. The class visited Millennium Park where Belk said she saw beauty in the blending of old and new architecture within the city. Now, Belk said, her studies and clubs take up most of her time. While being a voice for others isn’t easy, she said she enjoys what she does because it allows her to focus on her goals.